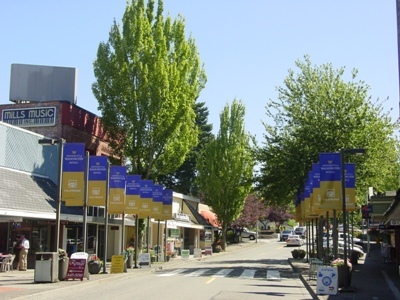 With so much to do in the city of Bothell it’s no wonder that people want to live here, just ask our Bothell movers. They’ll be happy to tell you about the beautiful area that lies just north of Seattle. Bothell is by far one of the most scenic areas in the state of Washington, and it helps being in the heart of wine country. With over 100 wineries and distilleries in the area, it will make and wine connoisseur jump for joy. If you’re not a wine aficionado now, you will be after a few of the many tours that are offered throughout the town. There are many other attractions to the town as well such as fine dining, the Wayne Golf Course and the Golf Club at Echo Falls, bird watching in over 58 acres of protected wilderness, and even Kenmore Air which is the largest seaplane based airline in the world. Bothell is somewhere to enjoy the finer things in life at a little bit slower pace, which allows you to really stop and smell the roses. Our Bothell movers will handle everything, from packing up your old home to getting things set up in your new home. At Gigantic Moving our Bothell movers know what makes the difference to get a job done right. With years of experience we can assure that your moving experience will go quickly, smoothly, and without a hitch, so trust our Bothell movers with your next move and you won’t be disappointed. Learn more at Bothell Gov.